Punk rock started out as an irreverent poke in the eye — and ears — to most musical traditions (especially the bloated rock royalty and grandiose prog-rock of the ’70s). So it might seem odd that strains of punk that embrace various ethnic music traditions have arisen through the years. It started with The Pogues, I suppose, back in the mid-’80s. They took traditional Irish sounds, sped them up, and played mad jigs of drunkenness, decay, and despair. There are all sorts of varieties of blues-punk (from The Gun Club to The Jon Spencer Blues Explosion to early White Stripes and lots in between). 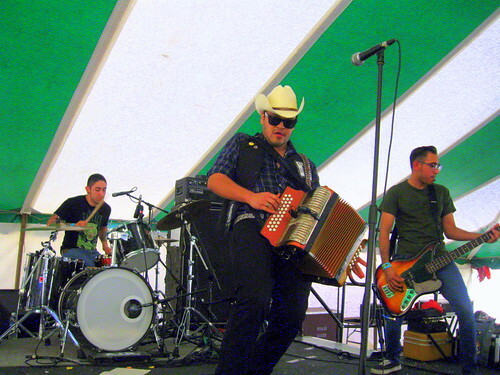 I’ve written about punk polka bands like the The Polkaholics and Polkacide in this column. Here are a couple of (relatively) recent examples of this phenomenon. Following up on the band’s 2010 debut album, Plethora, El Valiente (named for a masked luchador from Mexico) is actually an EP — nine songs, three of which clock in at less than a minute. The whole record is just over 15 minutes long, but some fine sounds are packed in this small package. There are two numbers that casual listeners of popular Mexican music should recognize. First there’s “Volver Volver,” a 1976 hit for Mexican crooner Vicente Fernandez. It’s been covered by American stars like Ry Cooder, Los Lobos, The Mavericks, and Linda Ronstadt. (One of my personal favorites is a live version in a medley with “Wasted Days and Wasted Nights” sung by the late Chris Gaffney with Billy Bacon & The Forbidden Pigs). Piñata Protest does a fairly straight version of “Volver Volver.” That is, until the last verse, when the musicians turn it into an insane slam dance. And then there’s “La Cucaracha” — yes, the old Mexican corrido about that lovable weed-smoking cockroach. 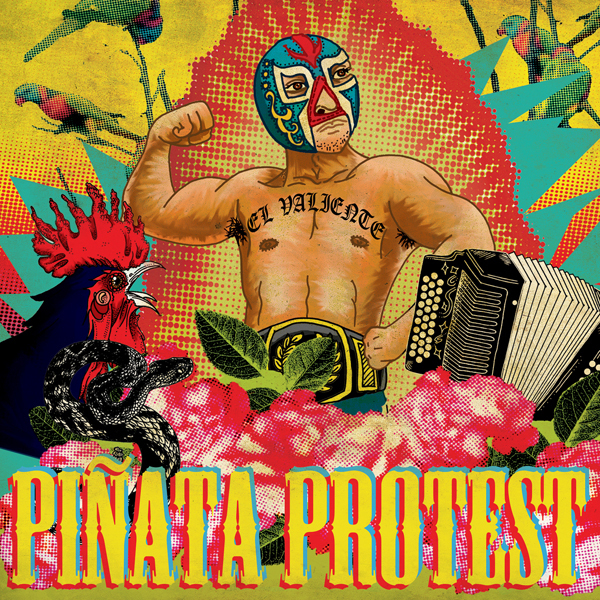 Lyrics: “La cucaracha, la cucaracha/Ya no puede caminar/Porque no tiene, porque le falta/Marijuana que fumar.” The Piñata boys attack this tune with blaring ferocity. It was one of the highlights when I saw them play the Española Plaza a couple of years ago. While El Valiente is a blast from start to finish, the EP ends too soon. Hopefully Del Norte and the guys will grace us with a full-length album pretty soon. 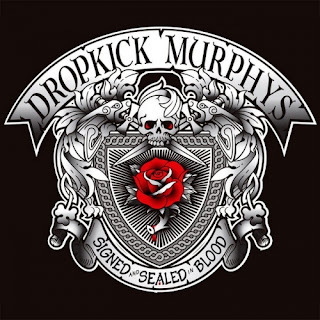 * Signed and Sealed in Blood by The Dropkick Murphys. This Boston band of wild Irish (-American) musicians has been around for nearly 20 years. Of all the current-day Celt-rockers, the Murphs are the best in my book — I’ve believed it since Shane McGowan, original vocalist for The Pogues, bestowed his blessing by singing “The Wild Rover” with Dropkick Murphys a few years ago. They’ve got the good-time, hard-drinking, loud-shouting, uilleann pipe-wailing, penny- whistle-blowing Irish singalong bit down pat. And they’re also perfectly capable of playing slow, pretty tunes, as they prove here with “End of the Night.” No, I wouldn’t describe singer Al Barr’s weather-beaten tenor as pretty, any more than I would the voices of Tom Waits, Janis Joplin, or Bob Dylan. But the song itself, dealing with barroom denizens who don’t know what to do after last call, is quite touching. While there are no traditional Irish songs, which the Murphs have been known to do, on this album, there is a song about a Boston Irish hero. “Jimmy Collins’ Wake” is about the former manager of the Red Sox (back when they were called the Boston Americans), who led the team to a World Series pennant in 1903. In terms of songwriting, the Murphs are no match for The Pogues, or, to be more precise, McGowan. But they’re more fun than a barrel of Guinness on a St. Patrick’s night. I shot the one below in Espanola a couple of years ago. Look in the crowd and you'll spot various members of The Imperial Rooster, who opened that night.